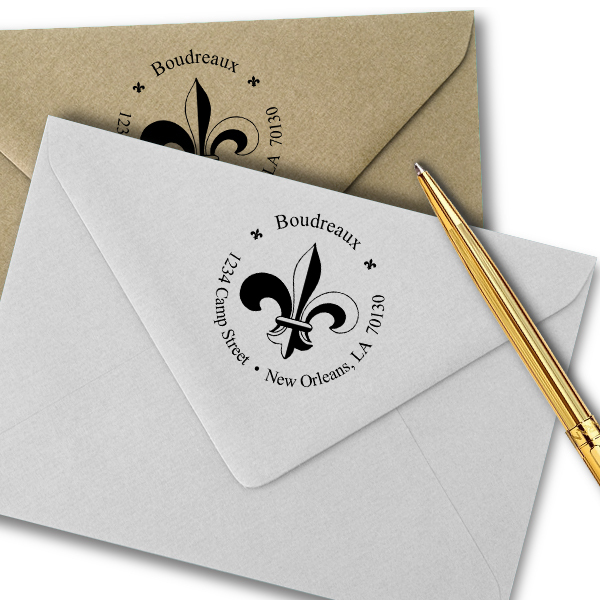 The 1.625" Fleur de Lis Return Address Stamp is one of our most popular designs. 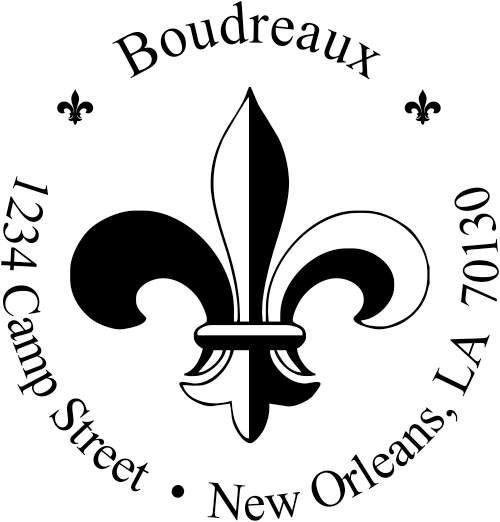 Featured in the center is a large, two tone fleur de lis encircled by your last name and street address. This round return address stamp also has two small fleur de lis, one on each side of your name. 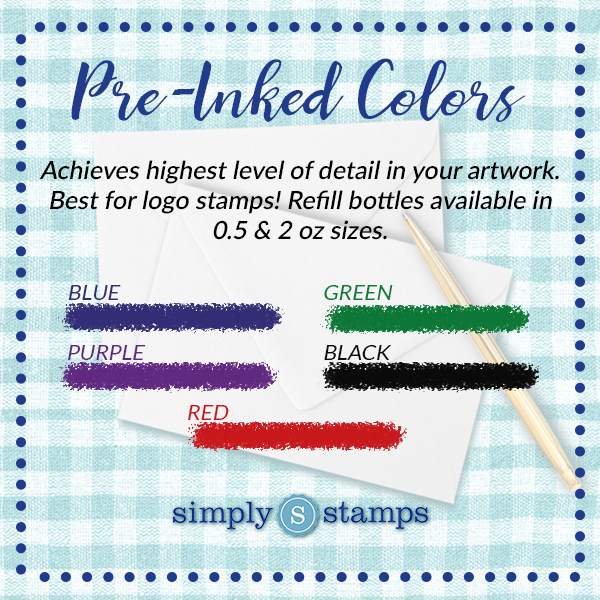 To order yours, just complete the boxes provided with your information, select your stamp type, size, ink color, and font, then click "Add To Cart." All of our American made rubber stamps come with a promise, order today and it ships the next business day. You won't find that anywhere else. Order yours now. 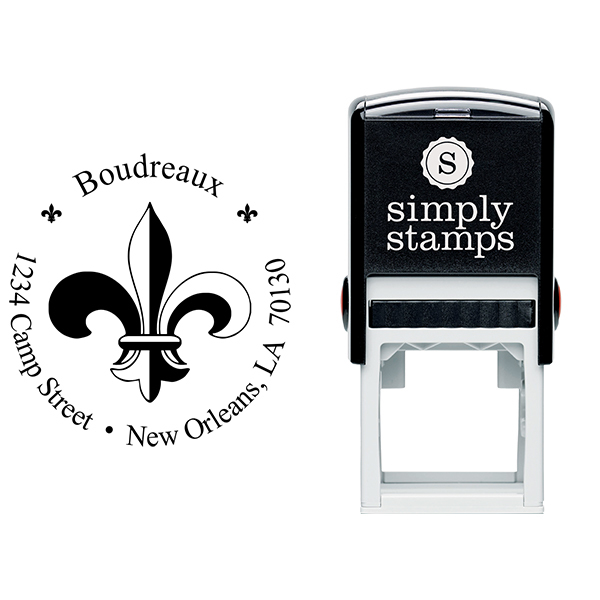 Fleur de Lis Return Address Stamp Details Take on a simpler way of sending out each and every one those cards during the year by using one of our custom self inking address stamps! Address labels are gooey and tear quite easily, making their value more of a drawback than anything. Express it with stamps instead, and get through your day-to-day task list in a fraction of the time. Not surprisingly, this Fleur de Lis Return Address Stamp will help out all through the holidays! 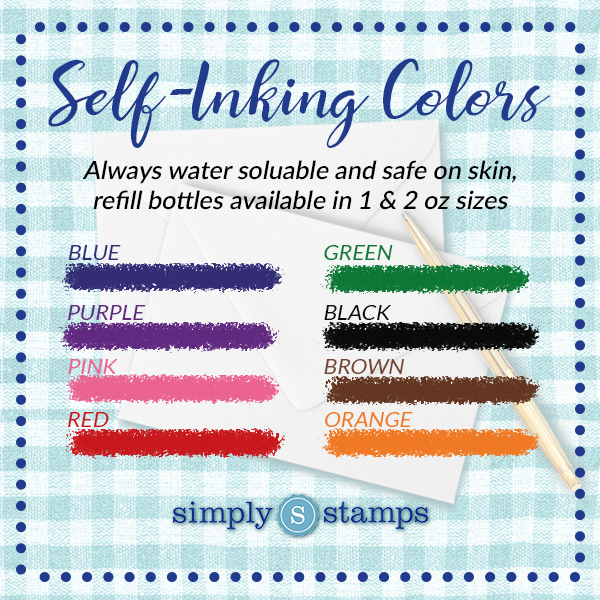 Made with only top quality products, this convenient self inking stamp will keep going for several years to come! Purchase your own now!